Copyright (c) 2009-2010, RoLoW. All rights reserved. 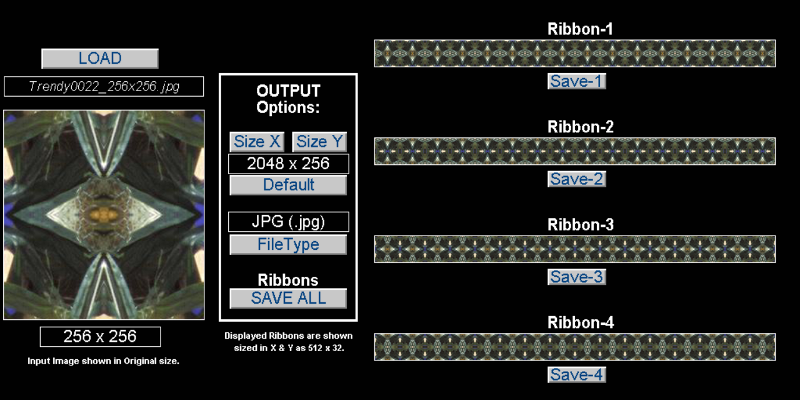 "Do It Yourself with Ribbon-Maker for Windows and Save Money!" 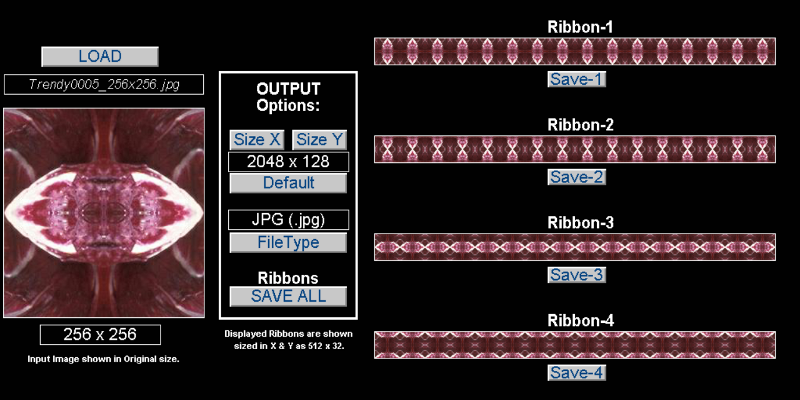 Don't just settle for buying ribbons in the only sizes offered. 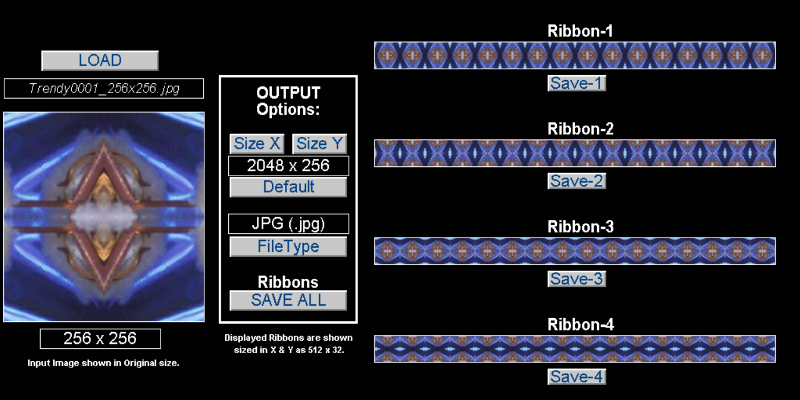 Create your own Ribbons from any compatible texture file. 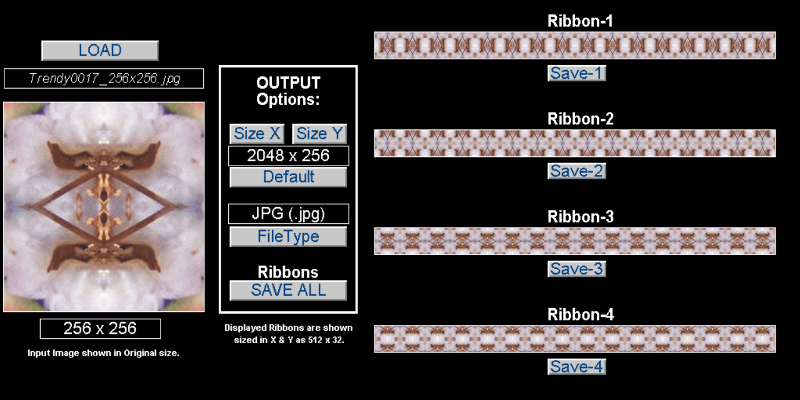 Designed for use with Square texture files in jpg, png or bmp formats. Textures can be either standard or seamless. 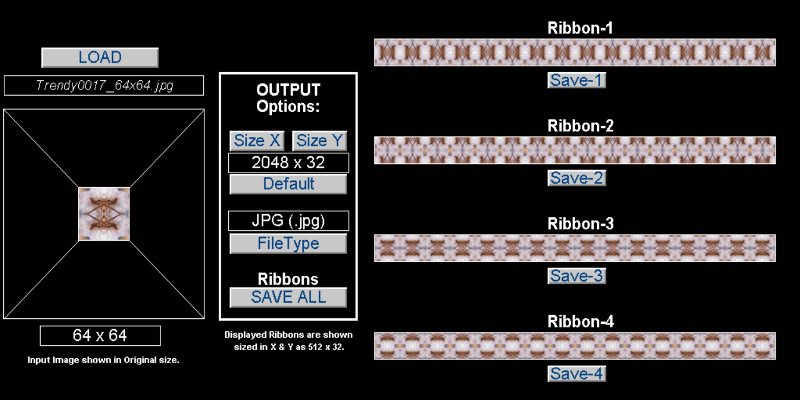 - Works best with texture sizes from 64x64 through 256x256. 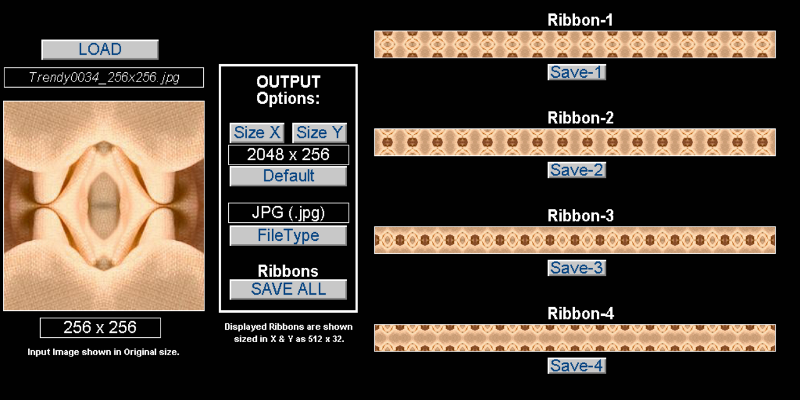 - Optimized for textures size at 128x128 and 256x256. 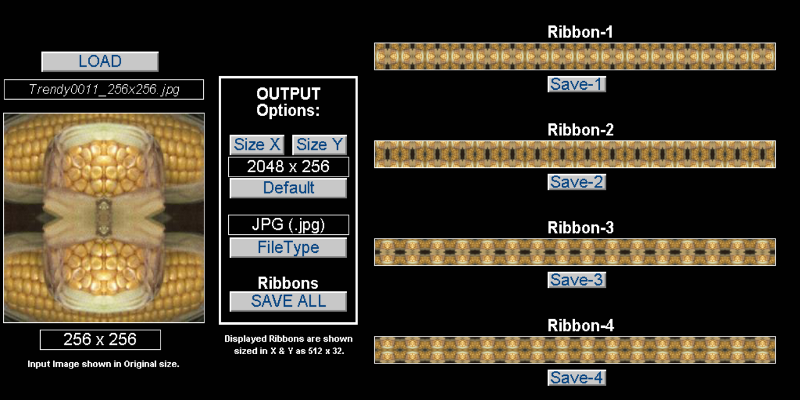 - Ribbon sizes range from 128x32 thru 4096x512 with 2048x128 recommended. 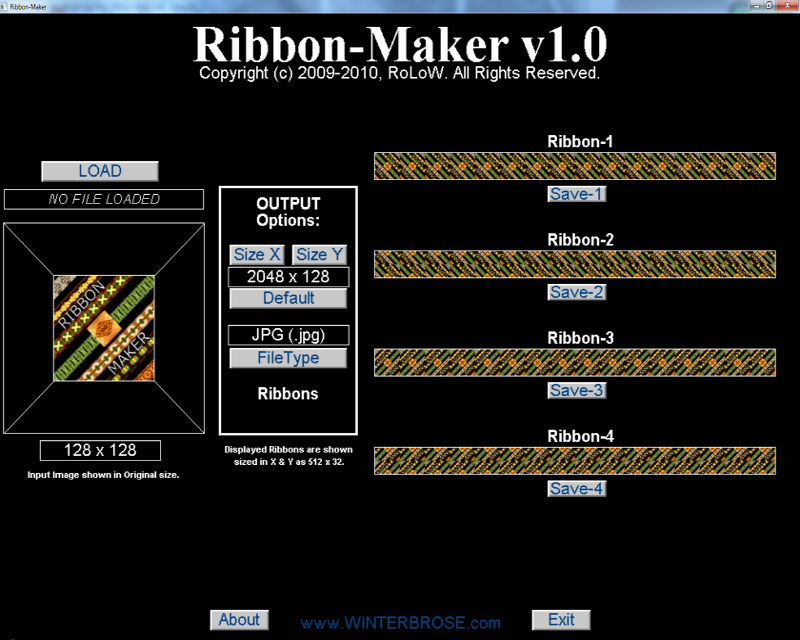 • Sorry, Ribbon-Maker is available only for PC. The purchase of Ribbon-Maker (R-M) software entitles the original purchaser to a non-transferrable single user license for the R-M software package to be installed and used on a single computer system. 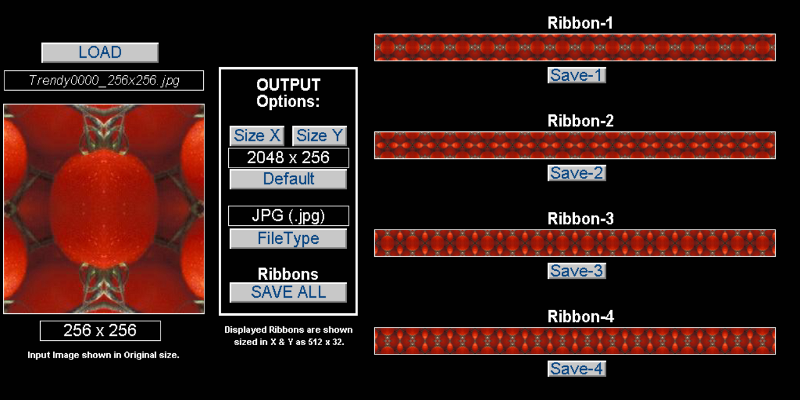 R-M software is not authorized to be used for projects that violate copyright and trademark laws. Do not use copyrighted or trademarked materials with the R-M software without the prior permission of the respective copyright owners. 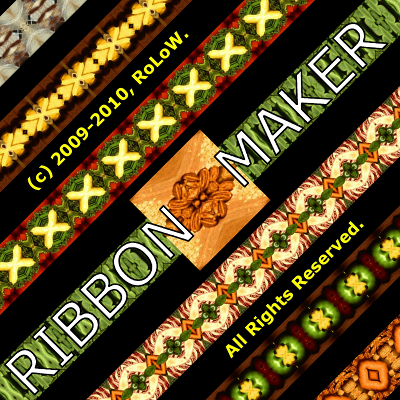 Please read this section carefully before purchasing Ribbon-Maker (R-M). All sales are final! No refunds on downloaded software! Every computer system has a unique hardware and software configuration. Under certain conditions, R-M may impact or be impacted by your system's particular configuration. 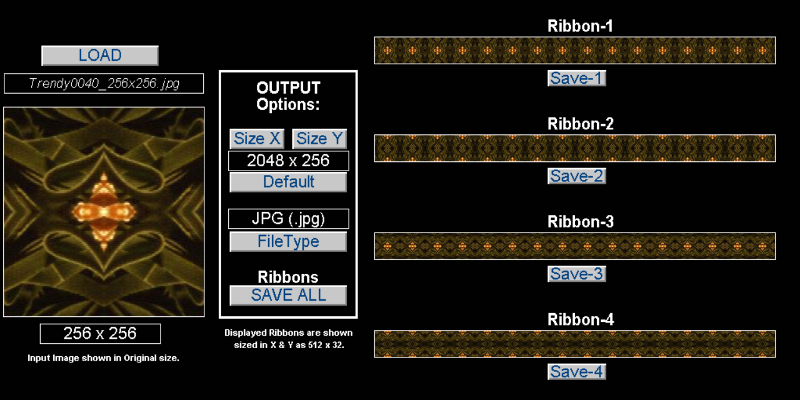 For instance, some screensavers may conflict with R-M in which case you can just disable the screensaver while using R-M. However, the solution to every problem may not be so simple. Conflicts could derive from the use of outdated video drivers, not having enough system resources like memory or storage available, incompatibilities with your particular video card and its version of DirectX, or for many other possible reasons. 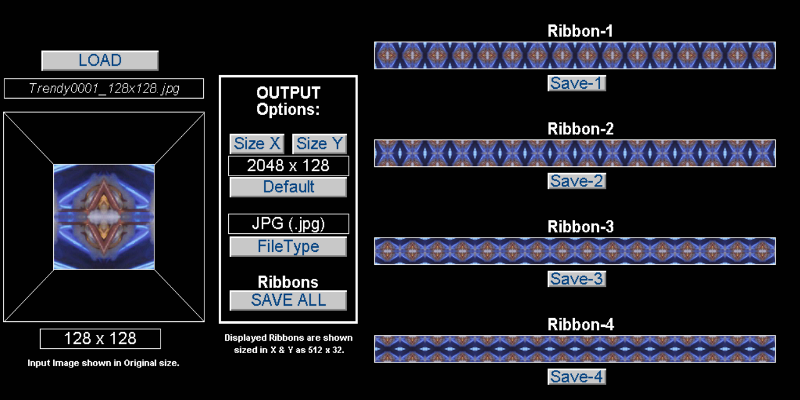 Therefore, all users are highly encouraged to download Ribbon-Maker Demo to test drive the program and check for compatibility with your computer system BEFORE purchasing/ordering a copy of the R-M application software.